A good rule of thumb is to be patient and gentle in all things when working on your older home. 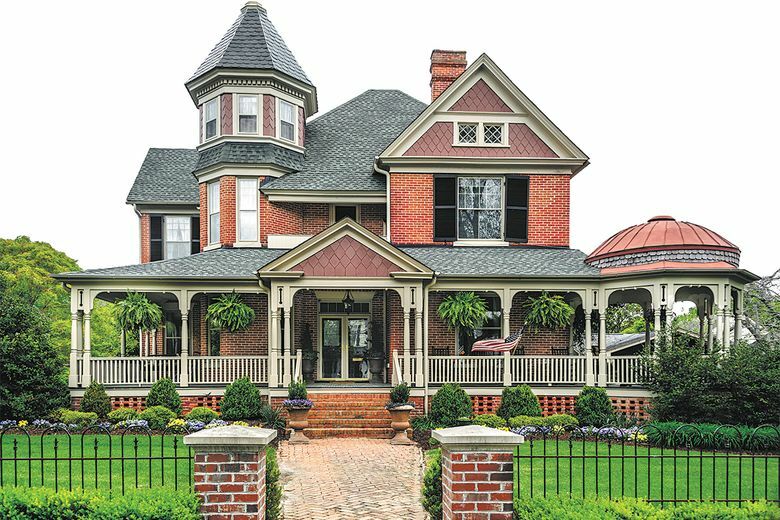 There’s a lot of talk these days about the many ways to bring historic homes into the modern era. But if you’ve purchased an older home — or watched enough of the TV shows featuring their renovations — you know that the original features can lend the most charm. Here are some things to consider as you work to maintain the integrity of a vintage home through updates, upgrades and renovations. Historic homes are popular for a reason. They exude charisma and character, and they typically have a lot to offer homeowners looking to personalize a home to make it their own. Of course, there are also other things to consider. Be aware of common issues like lead paint and asbestos in older homes, both of which will need to be addressed before you can safely move in. And also be sure to check the structural integrity of the home’s foundation. Hiring an inspector experienced in older homes will help to ensure that you find and address any non-cosmetic issues at the outset. It’s important to figure out as much as you can about your home right off the bat. Knowing things like when it was built or how the crown molding was done can assist you when it comes time to renovate. Being aware of your home’s history can help you preserve the most important parts of the design, like transom windows, boot scrapers or Dutch doors. Not to mention, all of that historical knowledge will help you appreciate your space that much more. Don’t treat a vintage home like a new home — it was built differently; the materials are older and it requires more attention. A good rule of thumb is to be patient and gentle in all things when working on your older home. Take your time with upgrades or remodels — it’s always better to get the job done right than to throw something together in haste. And by using mild cleaners, protecting fragile design elements and touching up dings and scratches as they come, you’ll be giving your older home the care it needs and deserves. Despite superior craftsmanship in older homes, there will always be wear and tear. Paint chips and fades, mortar crumbles and appliances go out of style. When one of the home’s original features starts to deteriorate, it can seem like the end of the world. But you do have a few options. One is to match colors and styles as closely as possible during upgrades. Many people are able to pull this off with little trouble. But if you truly cannot replicate part of your vintage home, it’s OK to mix it up with modern styles. Many contemporary fixtures work surprisingly well in older homes, and it’s easy to make an old tile pattern new again with some creativity. There is a lot to consider when it comes to taking care of a historic home. If you’re feeling overwhelmed, don’t be afraid to reach out to the experts at your local historical society. They’ll be more than happy to equip you with tools and information you need to make this transition a breeze. Plus, they should also know of some local contractors who specialize in renovating and preserving older homes.